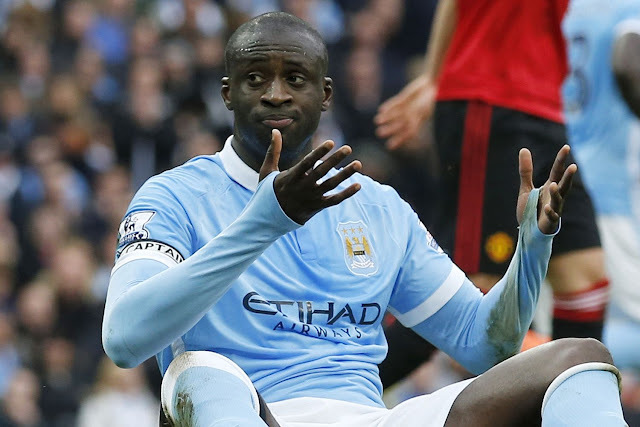 The agent of Ivory Coast midfielder Yaya Toure, Dimitri Seluk, says the future of his client will be known in 10 days. The Elephants player has been widely linked with a move away from Manchester City, with most pundits expecting that the 33-year-old will be one of the first casualties when Pep Guardiola takes over at the Etihad Stadium. Seluk has admitted that a move to Italian giants Internazionale is a possibility, but insists that Manchester City will be the deciding factor, as Toure still has another year left on his contract at the English club. "I know the coach (Roberto) Mancini is crazy about Yaya and would like him at Inter," Seluk told FCInterNews. "That said, I can't say too much about his future right now. It'll take 10 days for significant news. "Questions should be addressed to Manchester City, because he's a starter and he still has a contract until 2017. “As long as the club doesn't give the OK we can't talk to anyone. Every club wants Toure, but first we need permission from the club to discuss a possible transfer. "Is Inter a possibility? Yes, but as I said, it depends on Manchester City. We have many options and opportunities, but if the club doesn't allow it we can't say or do anything. "We'll see. We'll wait a bit. In 10 days we'll have some news."